For your consideration: “The Heart of Frida” by Starr Parodi. Starr Parodi’s latest composition “The Heart of Frida” is up for consideration for best Contemporary Classical Composition in the final round of Grammy nominations! For more information on Starr and her work both as a composer and as a recording artist, please visit her official website. Exclusive Interview With Chris Tyng! Chris Tyng discusses the Grow Music Project and his web series, The Session Diaries! We’d like to congratulate Chris Tyng and the Grow Music Project on releasing episode four of the Session Diaries today! We have an exclusive interview with Chris, just for the occassion. Chris Tyng created the Grow Music Project with a “pay it forward” attitude, setting out to provide emerging artists and bands with the resources they need. Each round, Chris selects five artists from a pool of online applicants and invites them to his world-class studio for three days of mentorship and recording with industry veterans- all for free! The GMP has completed its second round, and recently launched a webseries called The Session Diaries that details the experience and growth of the artists. We spoke with Chris to learn more about this venture. You’ve stated that you created GMP in order to “pay it forward.” Who helped you early on in your career to inspire this act of kindness? I’ve been asked this question in a few GMP related interviews now – and it’s interesting – every time I respond, I realize even more people who helped me along when I was getting my start. One of the coolest things I’ve found, with almost anyone who has had the good fortune to have some success in this industry, is… Click to read the entire interview! Saint Motel was featured as the “new band of the day” on The Guardian! If Jarvis Cocker moved to LA and made an album of yacht-rock influenced Britpop, it might sound like this. The lineup: A/J Jackson (lead vocals, guitar), Aaron Sharp (lead guitar), Chondrak “Dak” Lerdamornpong (bass), and Greg Erwin (drums). Click here to read the entire feature. Listen to the new track “Ace in the Hole” below! Nanobots, the new album from They Might Be Giants with drummer and composer Marty Beller, is out now! The album is available for purchase at Amazon.com and iTunes. Meshell’s sold-out show in Los Angeles earned rave reviews! Meshell Ndegeocello played a show at El Rey Theater on Friday January 6, featuring songs from her latest album Weather. The LA Times posted a great review of her fantastic show – Click Here to read it. Meshell’s album is available through Amazon.com. The Washington Post has a great article on Franz Stahl. The Washington Post has a great article on Franz Stahl’s career – playing with Scream, the Foo Fighters, running from fans in the streets of Japan, soundtracking surf films and touring West Virginia in a country band. The Fellowship, from The Smashing Pumpkins, was featured on CW’s The Vampire Diaries. The Fellowship, from The Smashing Pumpkins, was featured on CW’s The Vampire Diaries. This track is also featured on the show’s soundtrack (EMI), available now. The Pumpkins have eight tracks available for download at their website. They have also released a limited edition EP, Teargarden by Kaleidyscope Vol. II: The Solstice Bare featuring the unreleased b-side Cottonwood Symphony. Legendary songwriter Gerry Goffin has passed away at age 75. It is with a heavy heart that we are announcing the passing of legendary lyricist Gerry Goffin. Gerry was a loving husband, father, grandfather, and friend – and he will be greatly missed. Gerry, with his former wife Carole King, penned dozens of diverse, chart-topping classics such as “The Loco-Motion,” “Will You Love Me Tomorrow,” “Up on the Roof,” and "(You Make Me Feel Like) A Natural Woman.” His songs, whose universal appeal transcended genres and generations, were performed by numerous artists including The Drifters, Steve Lawrence, Aretha Franklin, The Beatles, Amy Winehouse, Celine Dion, Whitney Houston, Gladys Knight, Phil Collins, Tina Turner, Diana Ross, Tom Petty & The Heartbreakers and U2. His legacy is incomparable: the world has truly lost one of its greatest talents. Preview Brian Reitzell’s upcoming solo album, Auto Music, on Pitchfork! Check out Pitchfork’s feature which includes a preview of one of the tracks (“Last Summer”). The full track list is available at mxdwn.com. The highly-anticipated album will include collaborations with My Bloody Valentine frontman Kevin Shields and My Morning Jacket’s Jim James. Auto Music will be released on June 3rd via Smalltown Supersound. Andrew Hollander’s collaboration with Celine Dion is featured on the BMI website! BMI songwriter, film composer and producer Andrew Hollander waited two years for two very special songs he co-wrote with his wife Dana Parish to see the light of day. But that’s only because that’s how long it took Celine Dion to finalize the details on her latest album, Loved Me Back to Life, her first English language album in six years, out November 5. Abel Korzeniowski has arranged, conducted and produced Patricia Kaas’ album Kaas Chante Piaf, which was recently performed by the French singer at Carnegie Hall! Abel Korzeniowski has arranged, conducted and produced Patricia Kaas’ album Kaas Chante Piaf, a tribute to the legendary French singer Édith Piaf. Kaas is on her world tour in support of the album, and recently performed at Carnegie Hall! Abel was in attendance for the performance, and the sold-out show concluded with a standing ovation for several minutes. Click here to read a French interview with Kaas about her work with Abel, and here for tour information and dates. The album is available on iTunes and Amazon.com. Risers are featured in The Gap’s Joy It Up Mixtape on Facebook! Check out their track Current Affair, which can be accessed at The Gap’s Facebook page. Take Care, Take Care, Take Care, the new album from Explosions in the Sky, is out now! Take Care, Take Care, Take Care, the new album from Explosions in the Sky, is out now, and earning some great reviews! The album is available for purchase at the band’s website and iTunes. 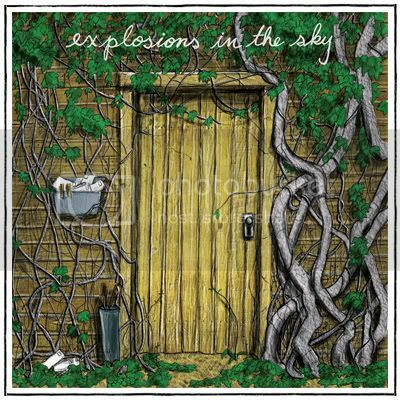 For more information on Explosions in the Sky, please visit explosionsinthesky.com. The Dexter Seasons 2/3 soundtrack is now available for download at iTunes. The soundtrack is also available through Milan Records. For more information on Daniel’s work on Dexter, please visit his website. Auto Music, Brian Reitzell’s first solo album, is now available on iTunes! Preview the track “Last Summer” on Soundcloud or purchase the album on iTunes! Chris Tyng’s Grow Music Project released the premiere episode of their web series The Session Diaries! Chris Tyng’s Grow Music Project released the premiere episode of their web series The Session Diaries! The series chronicles the musical journey each up-and-coming artist takes as they record and produce a breakout song with GMP. Click here to learn more about the Grow Music Project! Chris Tyng Featured in Billboard.com! Chris Tyng and the Grow Music Project are featured in Billboard.com! Composer Chris Tyng is opening his Santa Barbara County studio to developing and buzz-worthy musicians for free, no strings attached. Tyng is launching the Grow Music Project to provide artists with two or three days in his state of the art studio with the goal of each leaving with a finished recording. Through submissions to the GMP website, Tyng and the GMP teams select artists to move in, socialize with industry professionals and record. Sessions during the GMP journey will be filmed documentary style for future uses. The New York Times has a great feature on Meshell Ndegeocello and her upcoming album Pour Une Âme Souveraine: A Dedication to Nina Simone. Chicago-based The Record Low performed a showcase at the McGarryBowen Agency in Chicago. Thank you to Morgan Thoryk and the McGarryBowen crew for hosting us! Charlotte Martin’s latest album, Dancing on Needles is now available on iTunes and Amazon. Charlotte Martin’s latest album, Dancing on Needles is now available on iTunes and Amazon.com.